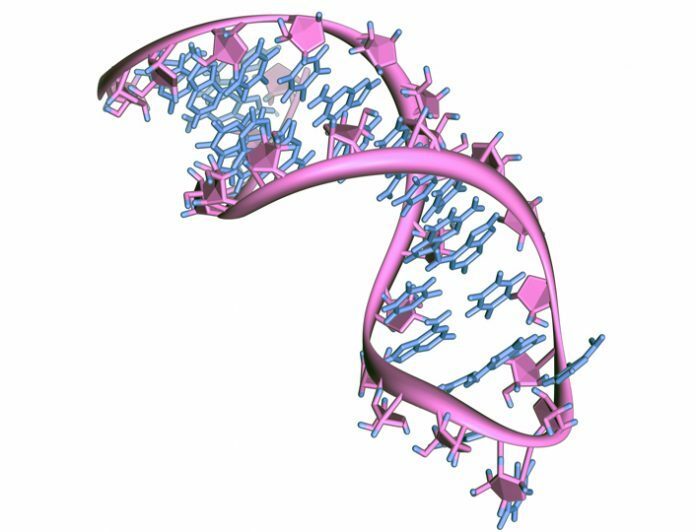 Long noncoding RNAs (lncRNAs) are, as the name suggests, long transcripts of RNA that do not code for proteins, but have been found to regulate a wide range of cell functions. Scientists at Case Western Reserve School of Medicine have now discovered that one lncRNA, designated lincDUSP, may play a role in initiating colon cancer and promoting disease progression, and so represent a novel target for drug development. The team found that lincDUSP was overexpressed in nearly every human colon cancer sample examined. Laboratory tests then showed that the characteristic unrestricted growth of human tumor-derived colon cancer lines stopped when lincDUSP was deleted, and the cells began to replicate at normal rates. Interestingly, studies by the Case Western team and others have shown that lncRNAs are dysregulated in cancer, and so could “potentially affect tumor initiation and progression.” In a study designed to identify putative oncogenic lncRNAs in colon cancer, the researchers first examined RNA sequencing data for 22 colon tumors and adjacent normal colon tumors, held in The Cancer Genome Atlas (TCGA) database. Initial data analyses showed that about 200 lncRNAs were differentially expressed in normal colon tissue and colon tumors. Of the 20 lncRNAs with the greatest differential expression levels, one in particular, lincDUSP, was overexpressed in 20 out of the 22 of TCGA database samples, with some of the tumors expressing more than 15 times the normal amount of lincDUSP. Analysis of an independent cohort of normal colon tissues and patient-derived colon tumor cell lines confirmed the initial findings, and demonstrated that lincDUSP was overexpressed in 12/21 of the analyzed patient-derived tumor cell lines. To test whether lincDUSP might have have oncogenic activity, the team genetically depleted lincDUSP in two patient-derived colon tumor cell lines that otherwise expressed the lncRNA at high levels. “Strikingly,” the authors comment, lincDUSP knockdown led to a significant decrease in cell proliferation within just 24 hours, and also sensitized the cells to doxorubicin-induced apoptosis. Lack of lincDUSP effectively increased the cell’s susceptibility to cellular checkpoints that regulate cellular growth, and the cells underwent apoptosis when subjected to DNA damage. A comparison of gene expression in lincDUSP-expressing colon cancer cells and lincDUSP knockdown cells found that deleting the RNA affected the expression of more than 800 genes, with these genetic studies further indicating that lincDUSP may be involved in regulating DNA damage response and/or cell cycle progression.